In order to see baroque churches and estates of aristocrats, it is not necessary to fly to Europe. We tell about the most beautiful bartons of the Moscow region, located in a 1-2 hour drive from the capital. The main treasure of the barton is the famous Znamenskaya church. 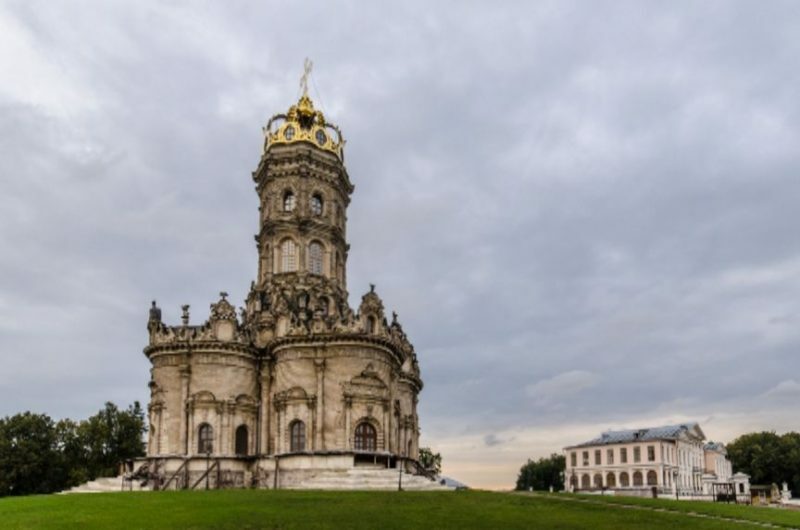 Contrary to the canons of Orthodox architecture, it is crowned by a huge golden crown, and the facade is richly decorated with sculptures of saints. The church looks very unusual: that is why its creators were denied the sanctification of the church for several years. Dubrovitsy themselves belonged to Boris Golitsyn in the past, and then fell into the hands of Grigoriy Potemkin. Catherine II came here on a visit and fell in love with the estate so deep, that she bought it for his favorite Alexander Dmitriev-Mamonov. The young man did not meet to the empress's expactations: a year later he married the lady-in-waiting Daria Scherbatova. 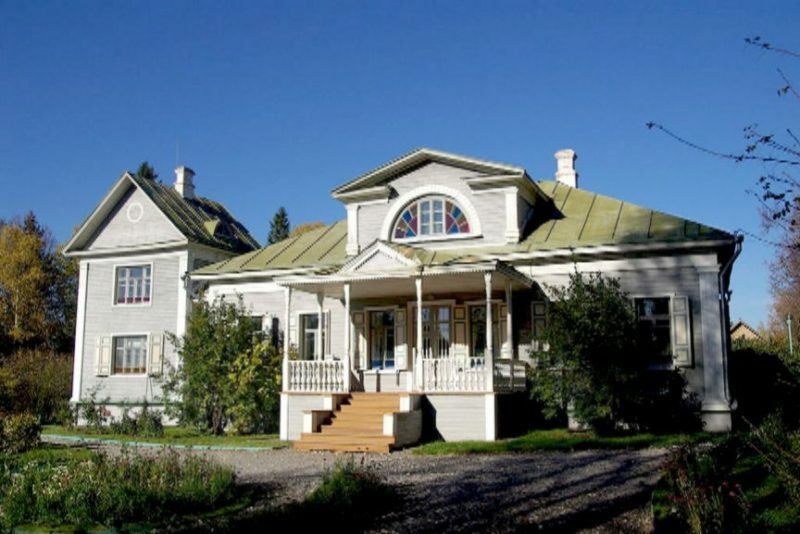 Dmitriev-Mamonov rebuilt the main house in the classical style - in this form it has come down to our days. At the beginning of the last century an orphanage was located there, then an agricultural machinery. Now in the mansion there is a registry office and a Council of Veterans. This year, Arkhangelsk was named the most popular Russian estate among tourists. This is really one of the most beautiful places in Russia with the ancient church of the Archangel Michael, a regular park with pavilions and sculptures. The main thing here is the palace of Prince Yusupov, in the bronze - crystal interiors of which balls were formerly held, the rarest books in the huge library were kept. Book rarities survived to our times and are now considered as the pride of the barton-museum - the Arkhangelskoye. At numerous exhibitions you can get acquainted with the European painting of the XVII-XIX centuries, the creations of masters of bronze and porcelain, collections of sculptures, watches and antique furniture. 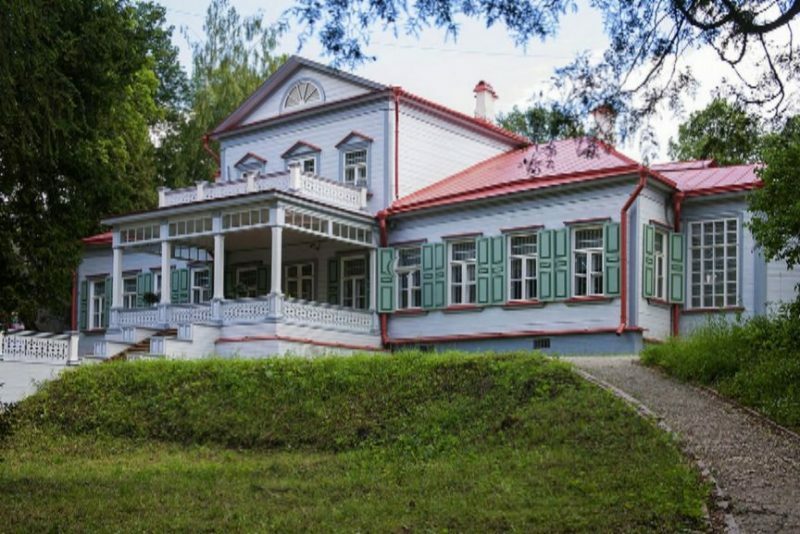 An ancient manor house, located near the village of Tarakanovo, for a long time belonged to the poet Alexander Blok. In Shakhmatovo he has spent every summer from 1881 to 1916, wrote more than 300 works. The poet was married to Lubov Mendeleeva in the church of Michael the Archangel in the village of Tarakanovo, near the estate. Today the temple is abandoned, and the estate was burnt at the beginning of the last century. To be true, now the poet's estate is restored - it was joined a single museum-reserve of Dmitry Mendeleyev and Alexander Blok. For visitors to Shakhmatovo, a carriage house, an outbuilding, a barn and a main house are open. In the manor house it is worth looking at the dining room, the room of the grandmother and grandfather of the poet, as well as the Blue drawing room with an old piano, on which Sergei Rachmaninov still played. The first mention about Abramtsevo dates back to the 16th century, but this place became famous much later. 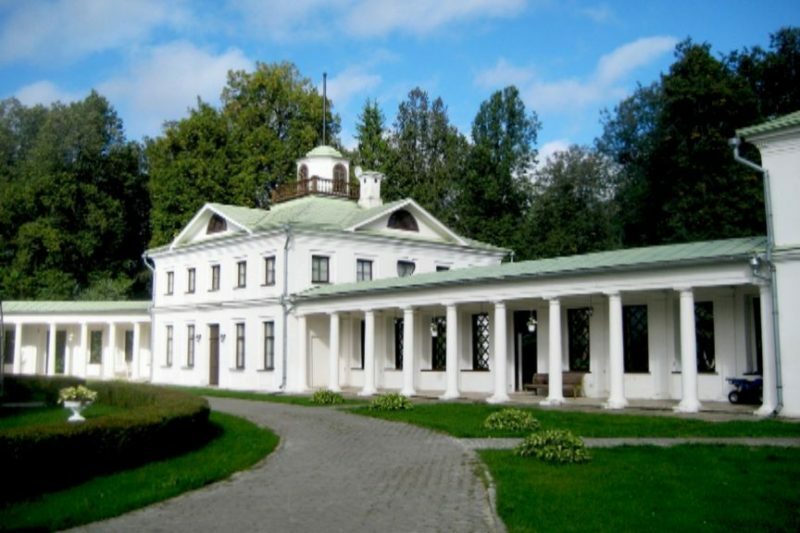 In the XIX century, the estate was purchased by Sergei Aksakov - he often had guests – famous writers and artists. In the estate there was Turgenev and Gogol, and Serov wrote the legendary "Girl with Peaches" here. Later, the estate passed to the industrialist Savva Ivanovich Mamontov. He organized an art circle in Abramtsevo, which included Repin, Vasnetsov, Vrubel and many other painters. At the same time, the Church of Our Savior was built in the manor and completely designed and painted by Polenov and Vasnetsov. At this time in Abramtsevo the famous hut on chicken legs, art workshops had appeared, one of which you can now see the famous dark-green tablecloth with embroidered signatures of guests. By the way, the tape about the poet here was not shot by accident: in the main house Mikhail Yurievich spent his youth. In the estate, and now we can see the room of Lermontov, the library, where he translated and Marble Hall, in which once Chaliapin and Rachmaninoff were perfomed. In addition to excursions to the main house, you should take a stroll along the park alleys, go to a pond with artificial islands, ride horses, pass a quest, dine at the Oak Hall of the Parade House, or order a helicopter tour of the manor. Another entertainment in Serednikovo - the movie town of Piligrim Porto. It will be especially interesting for children here. In this huge outdoor pavilion, you can wander through the streets of the English city of the XVIII century, see the sailboat Jack-Sparrow, erected in full size, and a pirate port. 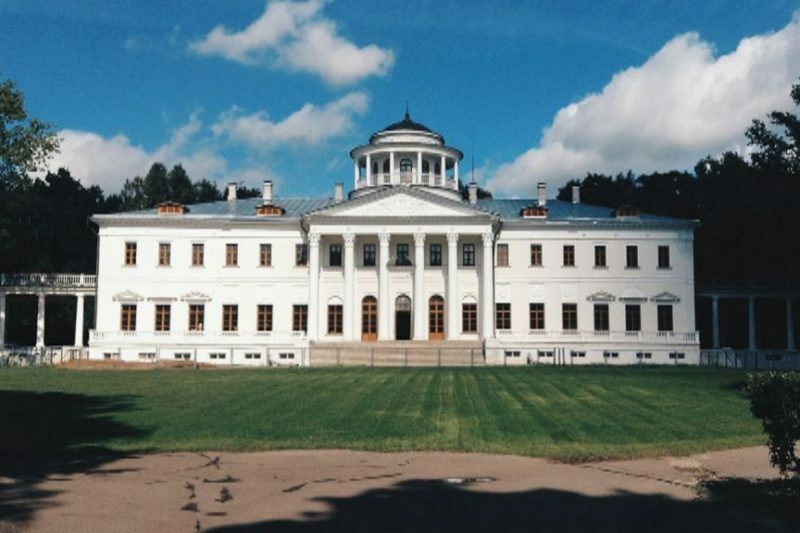 According to the number of legends, this manor, which during two centuries belonged to Vyazemsky, surpasses all the Moscow region estates. It is known that Nikolai Karamzin worked here on the volumes of the "History of the Russian State" (if you come as part of the tour, you will even be shown where his windows came out). Near the estate there are oaks, grown, according to legend, from the acorns which Karamzin's daughter brought from the grave of George Washington. And the name of the estate was invented by Alexander Pushkin. They say that Prince Vyazemsky did not know what name to give to the estate. He decided to call it by the first word of the first person who would be at the manor. At that time Pushkin drove up to the estate in the carriage. "Leave him alone, brother," - that's what Vyazemsky heard. So Alexander Sergeyevich answered the servant, who asked what to do with the luggage. From the combination of these words the name was born. 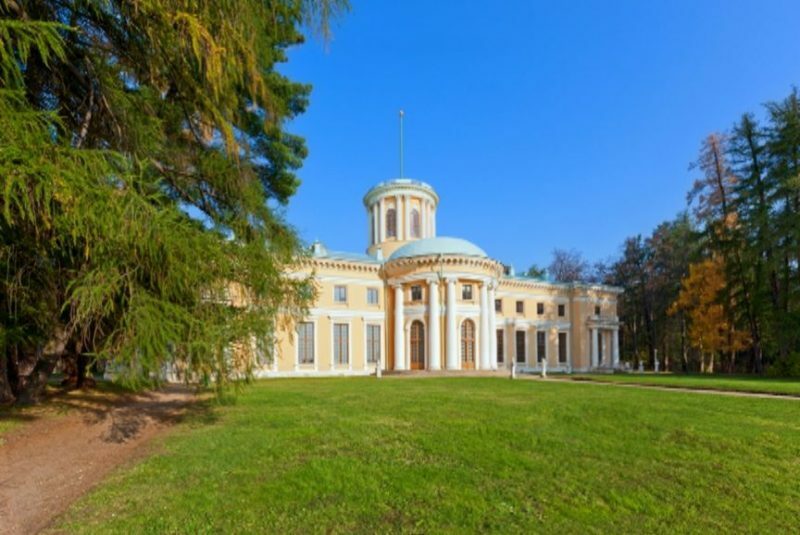 Now in Ostafievo you can see a luxurious manor house with outbuildings, designed in the style of Russian classicism, sit on a bench near a pond and stroll through the old park. The history of the manor begins from the XVI century, when it was presented by Tsar Fyodor Ioannovich to Boris Godunov. 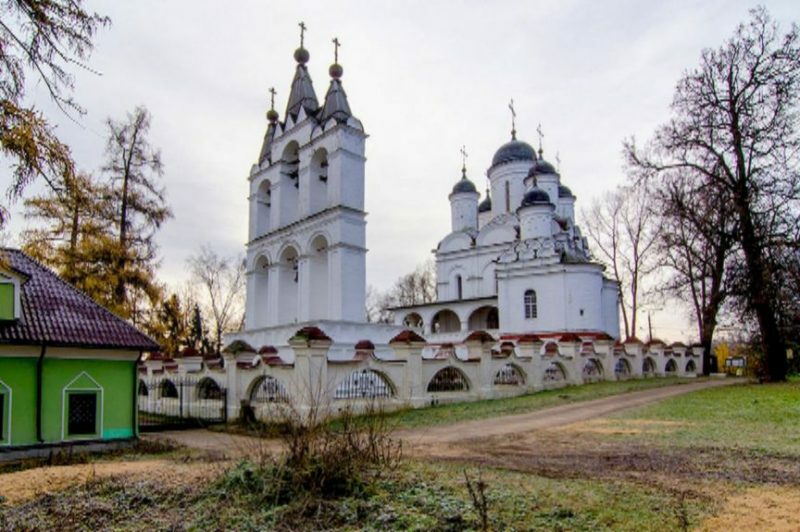 On the bank of the Vyazemka River a powerful Transfiguration church grew up, survived Polish intervention and the invasion of False Dmitry I. Under Peter the Great, the estate passed to Prince Golitsyn. In those years, there was often a young Pushkin. They say he "wrote off" his "Queen of Spades" from the hostess of the estate - Princess Golitsyna. During the Great Patriotic War, Kutuzov stayed in Bolshie Vyazem, and later Napoleon himself. Today a museum is opened in the manor and adjacent park. In addition to the palace and the temple in Bolshie Vyazem, farm buildings, a courtyard with outbuildings and an old park on the riverbank were preserved.